Greater Newburyport Pizza Places – What’s Your Favorite? Pizza is one of the great pleasures in life. 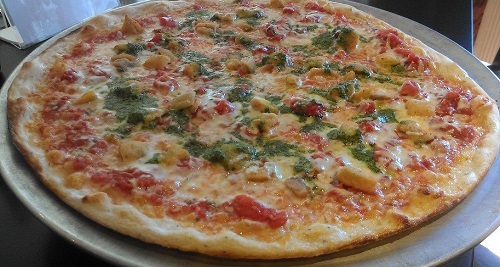 Newburyport pizza places offer a wonderful variety of delicious and satisfying baked pies! Made with just a handful of ingredients and a lot of love, pizza is a versatile invention. It can be fast and fun, you can grab a slice or enjoy a communal dining experience with family and friends. 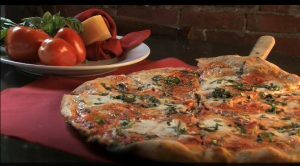 Choose from an impressive array of Newburyport pizza places to satisfy your inner pizza enthusiast! We encourage you to sample the pizza at all of the restaurants we’ve highlighted so you can choose your favorite pizza. However, given all the amazing options for Newburyport Pizza Places, it may be difficult to choose just one as your favorite. Anchor Stone Deck Pizza is located on State Street in Newburyport. Not only do they offer scrumptious pizzas, but they also offer the option to have a glass of wine or a beer with your pizza. The crust of their pizza is crispy, they have great sauce, and they offer many creative toppings that make for utterly heavenly pies, such as the one featured above. Anchor Stone Deck Pizza offers other traditional Italian offerings such as calzones and homemade lasagna as well as fresh salads and oven-roasted wings. Interested in enjoying a full service restaurant with a great atmosphere and excellent pizza made in an oven imported from Genoa, Italy? Then Oregano Pizzeria & Ristorante is the place for you! Oregano is very well known for serving incredible brick oven pizza, such as the one featured in the image to the right. They also prepare many enticing entrees such as chicken saltimbocca. Check out the bar offerings for a wide selection of cocktails, sangria, wine, and local craft beers! 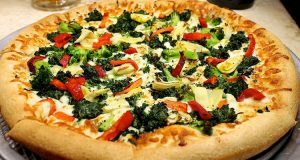 If you are in downtown Newburyport and need immediate gratification, we suggest stopping into Stone Crust Artisan Pizza on Pleasant Street for a delicious slice of pizza. They also offer an excellent selection of creative sandwiches, fresh salads and excellent burgers and fries too. On Friday and Saturday nights in the summertime stop by the late night pizza window between 10 PM and 1 AM for a slice or a few! Famous Pizzeria has recently completed a beautiful renovation project adding many modern conveniences and expanding the menu options. George Asprogiannis is the owner of both Famous Pizza and Stone Crust Artisan Pizza. Famous Pizzeria has enjoyed a terrific reputation in the community for serving great pizza, calzones, subs, wraps, and salads., and we highly recommend trying some of the newer menu items such as the roast beef and seafood platters. Nick’s Pizza on Water Street in Newburyport has been serving homemade bakery style Sicilian pizza for over 60 years! Nick’s is unique because all they serve is amazing pizza. Owner Frank LaBarba has an extremely loyal customer following thanks to his exceptional pizza! Nick’s uses a special process to make the dough and his unique blend of sauces and cheeses give the pizza outstanding flavor. Although you may associate Domino’s as being part of a larger company, our Newburyport location is a franchise that is locally owned and operated by Viken Dumeciyan. The pizza, (featured in image to the right) pastas, oven-baked sandwiches, and wings at Domino’s are consistently fast, fresh, and satisfying. If you leave room for dessert Domino’s also has a few delicious sweet treat options such as the chocolate lava cake. Nick’s Place Salisbury serves delicious pizza but it’s loyal customers enjoy Nick’s for the broad variety of other delicious dishes: the seafood, pasta’s, salads, sandwiches and a few delicious Greek specialties such as Spinach Pie plus Nick’s has a large delivery footprint including Newburyport. Niko’s Place is in Salisbury and it is a great spot to enjoy a meal before you head to the beach or catch a movie nearby. Their menu has a lot of options including pizza, roast beef, and fried seafood. The picnic tables outside are a great place to enjoy your food! For over 30 years West Newbury Pizza Company has been offering tasty pizzas and more! Their quality homemade foods have earned them a devoted following in Greater Newburyport. Order a specialty pizza such as the one featured here, or try some of their Greek offerings such as spinach pie and baklava! It’s also a great place to enjoy beer or wine with your meal. Nick’s Place, not to be confused with Nick’s Pizza, is located in West Newbury across from Pentucket High School. Nick’s Place has mouth-watering gourmet pizza and they also offer a wide selection of other types of food, including seafood, pasta, and delectable Greek cuisine. All of the establishments featured below are locally owned and in most cases you will find that they are family run with many family members pitching in to create a wonderful dining experience. All of the Greater Newburyport Pizza Places featured on Newburyport.com are part of Best of Newburyport VIP program, a community-based loyalty program that helps raise money for 23 local nonprofit organizations and rewards customers by offering discounts. Below are the offerings for these Greater Newburyport Pizza Places as of 1/27/19. Click the links below to confirm current discounts or just download the Newburyport App. 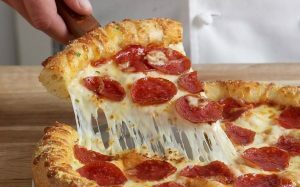 Domino’s – 15% Off Food, Email VIPcard@Newburyport.com for Code. Not Combinable & Must Present Card. Nick’s Place – Salisbury – 10% off over $40, must mention VIP Card when ordering & not combinable with other offers.